This August, Danish art comics publisher Steffen P. Maarup will be publishing an anthology featuring the cream of Danish comics in a collaboration between his publishing house Aben Maler and leading American art comics publisher Fantagraphics! 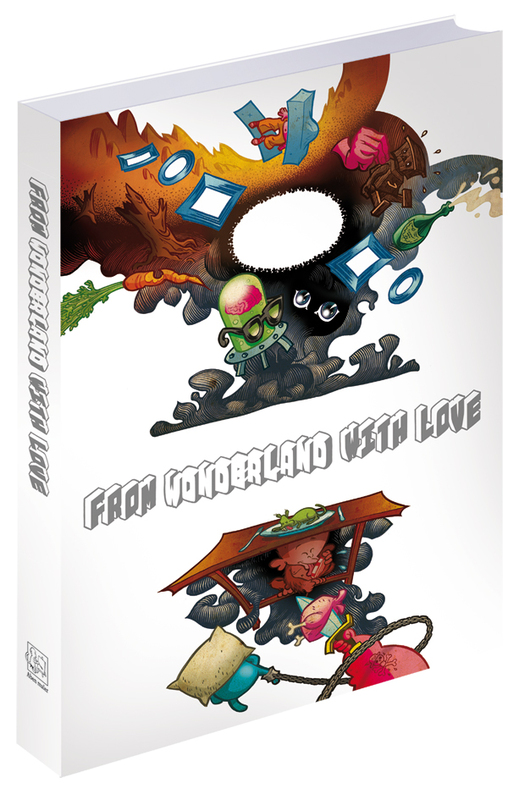 The anthology, From Wonderland with Love — Danish Comics in the Third Millenium, will feature short works of 19 Danish cartoonists: Zven Balslev, Vibe Bredal, Simon Bukhave, Allan Haverholm, HuskMitNavn, Peter Kielland, Ib Kjeldsmark, Johan F. Krarup, G. R. Mantard, Søren Mosdal & Jacob Ørsted, Julie Nord, Signe Parkins, Mårdøn Smet, Jan Solheim & Maria Isenbecker, T. Thorhauge, Nikoline Werdelin and Christoffer Zieler. That’s a lot of talent for one book! The cover, by the way, is by the Bunker’s very own T. Thorhauge. The book will debut at the MoCCA Arts Festival (June 6-7) this summer, and several of the contributors will be present. It will be in bookstores in August. the article says it will be in bookstores by august…how’re Fantagraphics doing with getting their titles in bookstores? My impression is that they manage quite well — it should make it into Borders and Barnes and Noble and such.